JAKARTA,Merapi volcano has just erupted on Tuesday (26/10/10) ago and today (29/10/10). The eruption that claimed many lives, including the caretaker of the volcano, Mbah Maridjan. History records that the volcanic eruption in Indonesia is the most deadly. Of the 10 top list, 4 of them from Indonesia. The victims are killed by these classified as the greatest disaster in the history of volcanic disaster of the recorded world. You will find that fact by looking at the list below. This active volcano is located on the island of Sumbawa. Terhebatnya explosion occurred in 1815, explosion that killed 92,000 people. Because of the enormity of the Tambora eruption, volcanic ash thrown up to the stratosphere are released air. in addition, the result of the eruption is also still being felt throughout the year 1816, such as climate change, small tsunamis and volcanic ash rain. Located in the Sunda Strait that memissahkan Java and Sumatra. 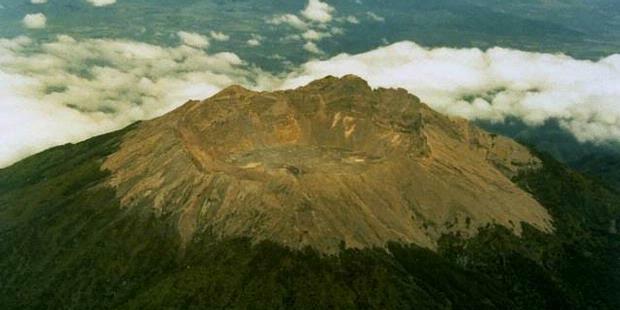 The biggest eruption occurred on 26 and 27 August 1883. Reportedly, a voice was heard volcanic ash vulkaniknya Australia and spread to areas far away. The explosion also caused the tsunami in the Sunda Strait region and destroy the surrounding towns. Some 36,417 people died. The location of this mountain is north of Martinique, France. Eruptions occurred from April 25 until May 3, 1902. volcanic activity that occurred in that period caused severe damage in the town of Saint Pierre, close the city streets with volcanic ash and killed 30,000 people. Reportedly, only 2 people of the city which miraculously survived the disaster. The mountain is located in Caldas, Colombia. Has been active for thousands of years, this mountain has never been as good erupting in 1985. The eruption of the year is very powerful, so swallow 25,000 casualties. The eruption was also once very surprising because previous mountain has "break" for 150 years. Unzen is located in the city of Shimabara, Kyushu Island, Japan. Some of these volcanic eruption ever recorded, like the last eruption in 1991. Terdahsyat eruption occurred in 1972 that emit lava from one peak, called peak Fugendake. Explosion also caused the earthquake and tsunami. As many as 14,300 people were killed in the disaster. The mountain is located in Iceland. The biggest eruption occurred on June 8, 1783. A total of 14 cubic kilometers of lava released by the volcano and flood the surrounding area. Villages, livestock and people living around the volcano victims. The number of deaths reached 9350 people. Kelud is one of the most active volcano in East Java. This mountain has erupted several times in the 20th century, including 1951, 1966 and 1990. The eruption of the greatest occurred in 1919. A total of 5110 people stripped his life in the disaster. 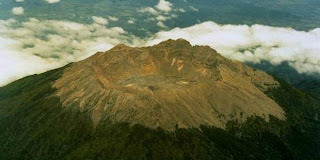 Finally, the mountain erupted in 2007 but the government managed to evacuate the residents to flee to avoid catastrophe. The eruption was also not too big. Galunggung located in Tasikmalaya, West Java. The biggest eruption was in 1822. In the eruption, at least 4011 human lives lost. The mountain is located near the coastal area of Naples, Italy. One of the most active volcanoes in Italy is to provide two views are contradictory, at once awe of the beauty of landscape of grief due to the deadly eruptions thousands of lives. The biggest explosion claimed 3500 lives and destroying villages in the vicinity. The biggest eruption of Vesuvius occurred on 24 August 79 AD. As many as 3360 people were killed in the disaster. Explosion is expected to last for 19 hours with a volume of volcanic ash that reached 1 cubic mile. The eruption was also buried two towns in Italy, Herculaneum and Pompeii. A total of 1150 victims of the eruption of the skull was found through the excavation process recently.